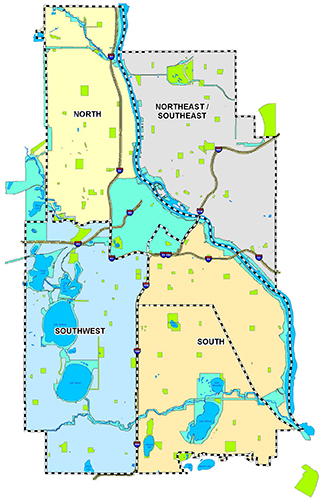 We’ve divided the city into different geographical areas for recreation services. Each service area applies resources to best meet the programming and service needs of the community it serves. Click the location links below to contact staff directly for program information, or if you have individual park concerns. Contact the appropriate manager listed below to discuss concerns within a specific service area. Rev Dr. Martin Luther King, Jr.